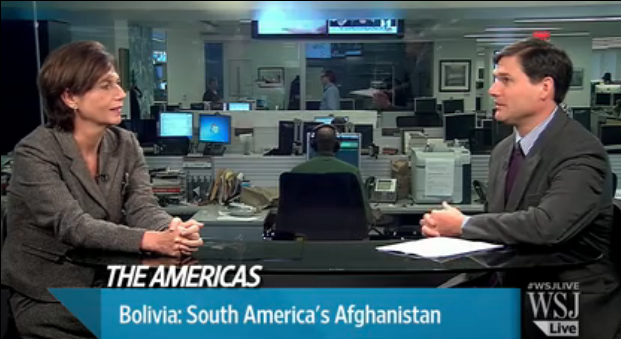 We said before: Bolivia in the verge of becoming Somalia/Afghanistan, thanks to the egomaniac coca grower caudillo mismanagement! There are over 600 Bolivians that fled the country due to political persecution. More than 60 people lost their lives due to turmoil and indulged violence of the central government. Indigenous people, including elderly, women and children were violently repressed when they were marching in protest to stop a road be built inside a National Park and Indigenous community land, to make room for neighboring coca growers of the Chapare. More people were lynched over the last eleven years, due to anarchy and so-called “community justice” as promoted by this government. Blooming smuggling and narcotrafficking activities provides “liquidity” to the Bolivian economy, as well as fatal killings out in the open of Bolivian streets … unheard of before this government. Hospital in El Alto who receives “aid” from the Iranian government demands that Bolivian women cover their heads as if they were islamic. A radio was also funded by the Iranians to disseminate propaganda on behalf of the coca grower caudillo. More forest was burned this year than before due to lack of protection to our environment. Over $160 billion dollars were wasted over these eleven yeas, not a single sustainable job was created, nor significant investment was made. Bolivia imports more food than ever before, places like the Yungas in La Paz which provided fruits have surrendered to coca plantations. evo holds absolute control of ALL State powers, democracy is in peril. More legal businesses went bankrupt across Bolivia due to this government’s irrational taxing practices, export quotas, demagogue bonuses and inability to implement the law. This ruler changed Bolivian Constitution to hold power and now intends to do so to continue to remain in power. 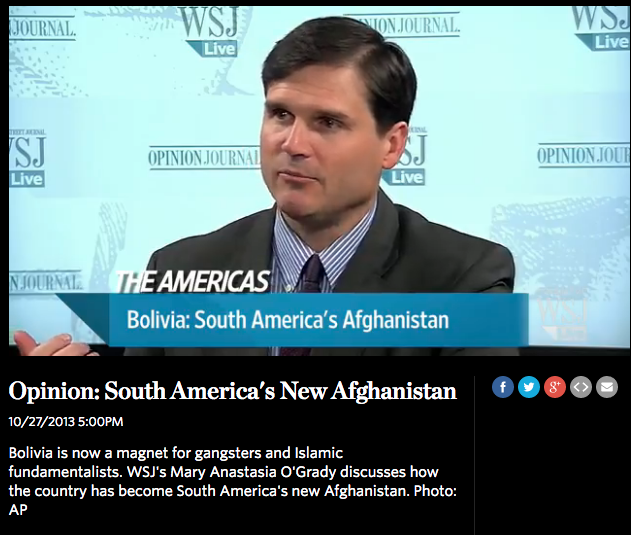 To get more facts, just take your time and browse over this blog and you will see strong indications that anarchy, chaos has set foot in Bolivia!